What are the most alluring aspects that attract visitors to Onsen Spas? Japan is a land that is rich in culture. The beautiful and breathtaking elements that make up the orient’s geography plays a great role in the culture’s distinct charm. Onsen is the Japanese word that refers to the natural hot springs that are used as baths. Luckily, in this day and age, there are many modern variations that take the Art of Onsen and with the help of advanced technology and authentic Japanese minerals, artfully recreate the Onsen experience. These establishments can be found even in the most luxurious of urban milieus, such as that of 5-star hotels in Manila. Food, tradition, and living in a Zen way of life are all interwoven with how much the Japanese utilize and embrace what their environment has to offer. Onsen spas are not only a great way to relax and unwind, they also provide several direct health benefits. In Japan, Onsens are known as public baths where guests take a dip in either volcanic or non-volcanic hot springs. The term Onsen more commonly refers to the inns and resorts that feature these hot springs and offer traditional imprints, such as a dining aspect that enhances the tranquility of the bath. Onsen has garnered its immense appeal as a means of getting away from the busy lifestyle in the city. In fact, this is one of the most ideal ways to truly relax and enjoy the best of nature in Japan. There is nothing quite like the soothing potency of an Onsen’s mineral content. Onsen resorts are ideal for any type of guest, whether yo go alone, with a partner, or with your family. These places offer varieties of exquisite cuisine that make the visit and atmosphere a holistic experience. 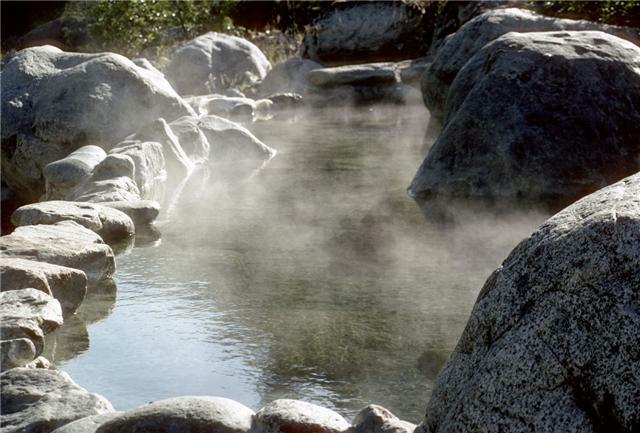 In the western world, hot springs are typically seen as primarily for medical purposes. But in Japan, although the healing properties are highly acknowledged, the Onsen springs are more valued as a means for relaxation and recreation. In the ancient periods of Japanese history, hot springs were owned and facilitated by the Buddhist monks of the surrounding temples or shrines. The Zen aspects of Onsen hot springs stem from the meditative tranquilities that monks have discovered. There are many customs that make up the Onsen experience. Historically speaking, ordinary Japanese citizens made it a point to regularly visit these hot springs every year for recovery from fatigue and improve overall health. Currently, Onsen inns have come to be a globally recognized attraction that draws in tourists from all over the world. During the Meiji period, scientific research on the healing properties of hot springs became extensive. The waters of Onsen springs contain different chemicals and minerals that significantly rejuvenate the body’s many stressors. There are different types of hot springs in Japan, of which their effects depend on the types of water they contain. The Sodium Bicarbonate or alkaline, for instance, is known for washing off fat from the surface of the skin, making it smoother in texture and appearance. The waters from Carbon Dioxide springs have been found to expand blood vessels, and in result, lower blood pressure to strong and healthy levels—fighting off ailments such as Rheumatism. In recent years, there has been an evident spread of city Onsen hot springs. 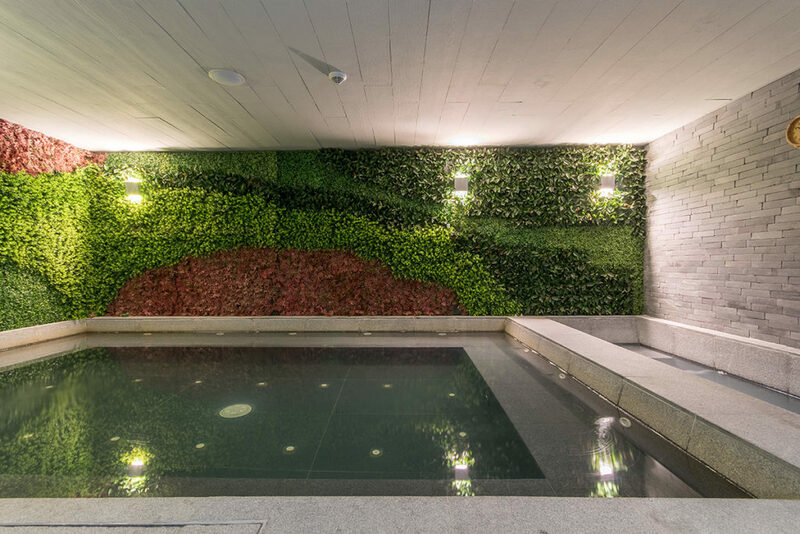 Wherein, thanks to the marvels of modern technology, establishments have developed their own Onsen bathhouses that take the soothing elements of nature and apply these principles in urban city spheres. I’M Hotel’s highly-reputable Onsen Spa is rated the number 1 spa on TripAdvisor and is the first sento-style spa in the Philippines. Located in the heart of Makati city, I’M Onsen Spa beautifully recreates the spirit of Zen and wellness. They provide the same holistic approach to these treasured Japanese traditions along with healthy minerals imported from Japan. I’M Onsen Spa offers a variety of packages that take your senses on a peaceful journey of rejuvenation. Indulge and let them pamper you with their signature facial and shiatsu or aromassage. Every visit also comes with a buffet that is the perfect way to conclude the entire experience. Located in one of the 5-star hotels in Manila is the most recognized Onsen spas in Southeast Asia. I’M Hotel’s Onsen Spa perfectly executes all the essential elements that make up the delicate art of the Onsen experience. Spas are a great way to unwind and take a break from the hectic build-ups of our lives. Visiting an Onsen spa truly is a unique and enriching experience that relaxes one’s soul and entire being. The health aspects blended with the cultural heritage adds an undeniable layer of nurturing serenity with every visit.